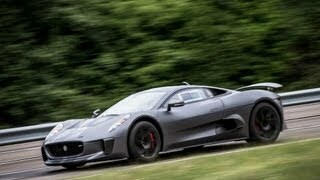 Jaguar C-X75 got unveiled back in 2010 as a concept car. 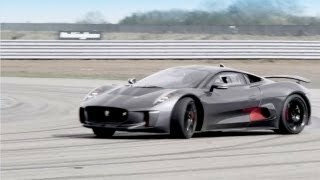 Now, Jaguar releases Jaguar C-X75 Hybrid as the state-of-the-art hybrid supercar with the efficiency of a low-emission city car. 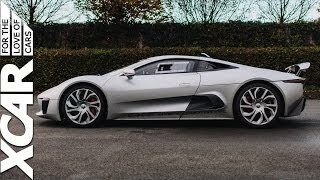 The C-X75 can go from standstill to 100mph in just 6 seconds and has a top speed of 220 mph. Powered by a 502bhp, 1.6L Turbocharged and supercharged 4-cylinder engine along with 390 bhp from two electric motors, the car gets combined output of 850 bhp.